Hey crafty friends, who is ready for spring? I know I am, some warmer weather would be nice. With that being said I have some spring birdie birthday cards to share with you. 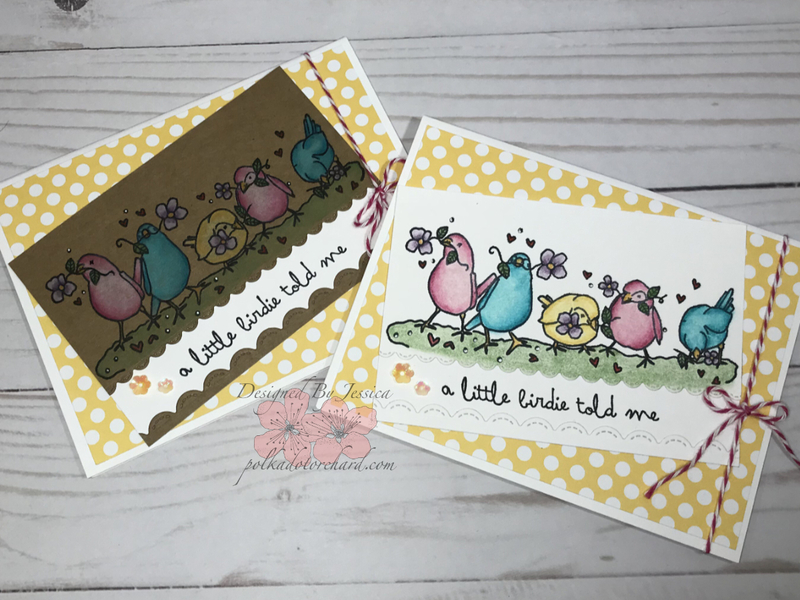 One using white cardstock and the other kraft cardstock, which do you like best? Even though they both look great, I like the one colored on white cardstock the best. How adorable are these birds? They were colored using Prismacolor colored pencils (did not keep track of colors used, sorry). To get the smooth look I blended the colors using gamsol and blending stumps. I love how these pencils color on Kraft cardstock and the look they create. 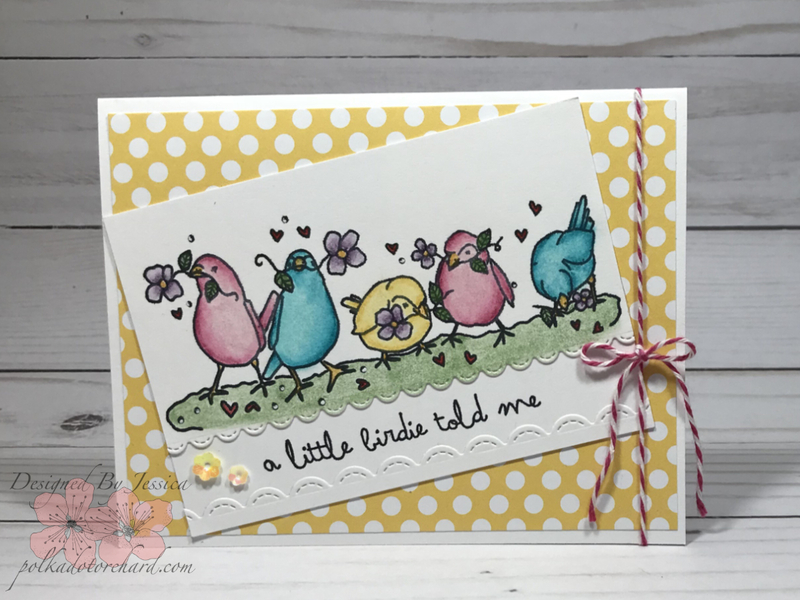 After coloring my image I used a scalloped stitched border die to create a window like opening to stamp my sentiment “a little birdie told me”. I had initially planned on making that opening a shaker but it did not quite work out that way. Thankfully I am very happy with the way it turned out. I embellished the front of the card with some 3D flower sequence I had a my craft stash. They were in a pack of kids mix sequence that I got in from Walmart, I didn’t even know I had them. I love them so much that I had to search the internet for more colors, and of course order those other colors. One can never have too many birthday cards so I stamped the inside with the sentiment “it’s your birthday”. I then used my craft pick to put a small hole in the fold of the card to run twine through, tying it off with a nice bow. 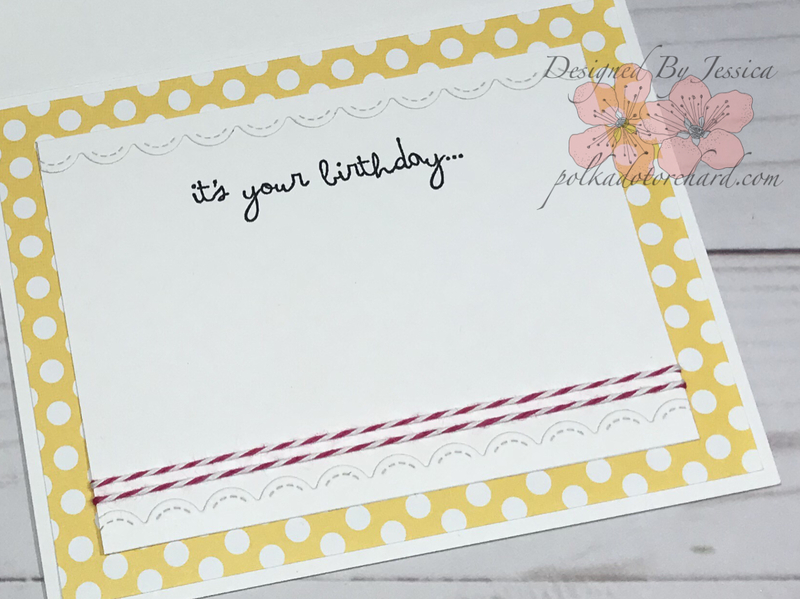 To bring the entire card together nicely, I used the same patterned paper, scalloped borders borders and twine that I used on the front one the inside as well. I believe it’s recollections/Michaels brand. I bought it a few years back open stock from Michaels to make a banner for a friend, I just have lots of scraps left over. Omgosh….Those birds are super cute. 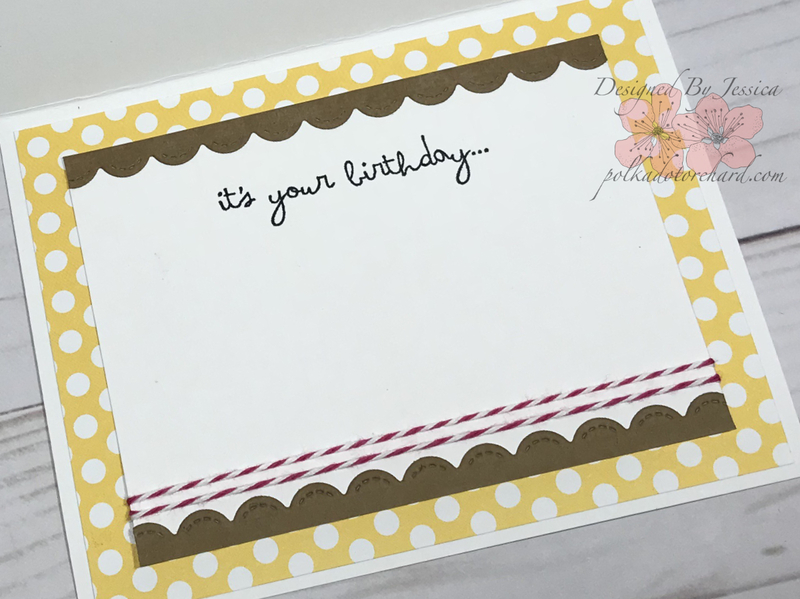 Love the colors and that scallop border die. 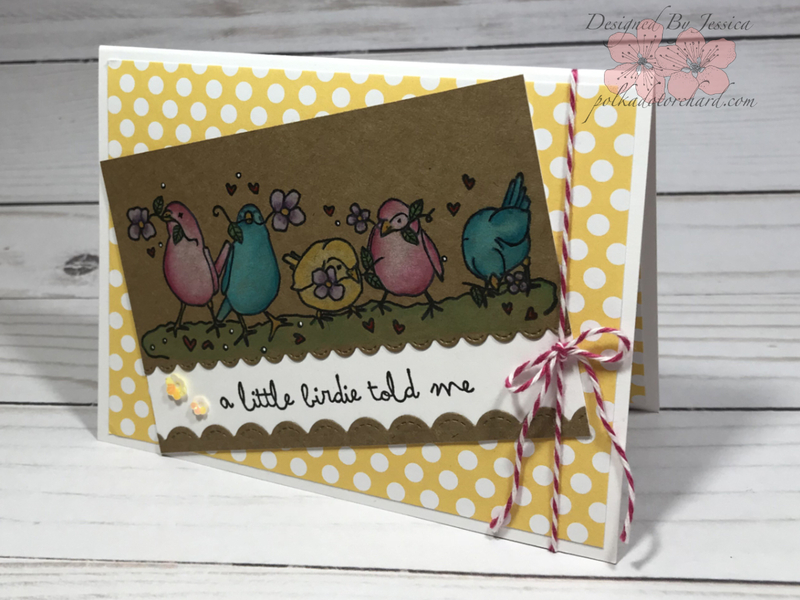 Love these cards with the fun row of birds.